I read this book a long while ago, with no time to write a review until now, so I will do as promised and write one. Okay, the first thing I have to say about this book is that I really don't get why they had to change the title. I don't know if this is common knowledge, but the original title of the novel is Män som hatar kvinnor which means, Men Who Hate Women. 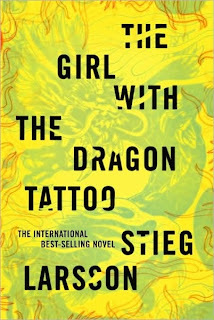 That title seemed more relevant to the story since the "dragon tattoo" wasn't the only tattoo Lisbeth Salander had, and those other tattoos were equally important in the story, so I don't understand the emphasis on that specific dragon tattoo. 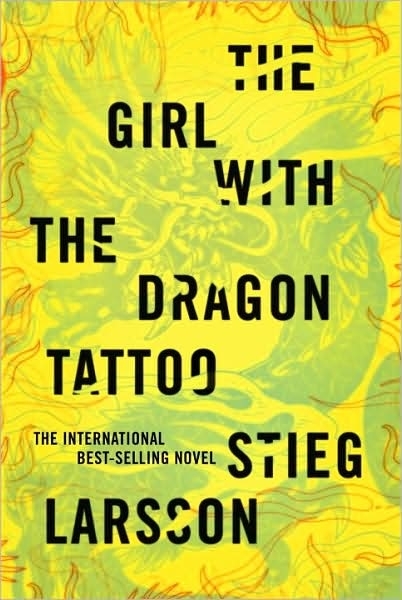 While the original title actually shows up in dialogue in the book, and it had more relevance to what the story was about (mostly from Salander's POV). That been said, on to the plot. In my opinion, the book started up a bit slow, but I also believe it was necessary for the author to explain the characters' background for the story to make sense. It takes a few pages for the plot to pick up, but once it does, it has you hooked. Even though most of the proper names from the country were impossible to pronounce the story can be understood perfectly, but do not be fooled, it is one of those novels that you have to read carefully, line by line, to catch every detail. About the characters, I am going to focus on Lisbeth Salander. What can I say? She was a unique character. To everyone who enjoys to "psychologically analyze" the characters in a story, this novel will definitely be a treat. Unlike other books in which everyone wants to relate to the character because of looks and personality, Lisbeth is a character that makes you want to understand her rather than relate to her. Something that often happened to me while reading is that I wanted to know about her past, I wanted to have an explanation about why she was the way she was and her unknown past just adds an extra mystery to the story, since Harriet's disappearance is the main one. I found the ending surprising and not predictable, and it will keep you guessing until you find out the truth. Finally, what I also liked about the book was that it started the way it finished. There was a secondary conflict to the story, the Wennerström-Blomkvist conflict. The novel starts talking about the article and the magazine and all the problems these two characters are having. And the story ends that way as well, and even though I didn't find that conflict as interesting as the Harriet mystery, I think it was fair to give that closure to the story and not to leave that many loose ends. This being one of the longest reviews I've written, I'm gonna conclude. This book is worth reading, definitely not recommended to people younger than fifteen, (at most) and if you read it and think of quitting because it's slow at the beginning, don't. It's definitely an amazing read, and recommend it. I've loved the book but I haven't seen the movie yet. I know I'm Late! Hope to catch up soon on this one. 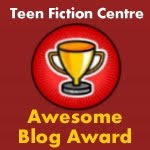 By the way, I've tagged you for the Liebster blog award. I agree this book is great! The movie (or at least the version I saw) does not give it justice. It's like Eragon. Great book, terrible movie. @Lucie thanks for the tag!